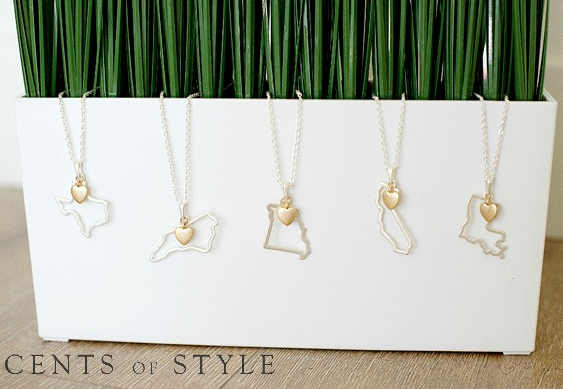 This week for Fashion Friday, Cents of Style is bringing back the popular State Necklaces! They are offering their custom state necklace for $11.95 plus FREE Shipping with coupon code HOME. Each pendant is the outline of a state and has a contrasting brushed gold heart charm. This could be a perfect gift for those close and far from home, but hurry to get your favorite state because the favorite states always sell out fast! Offer valid 3/20 only. Shipping is FREE.